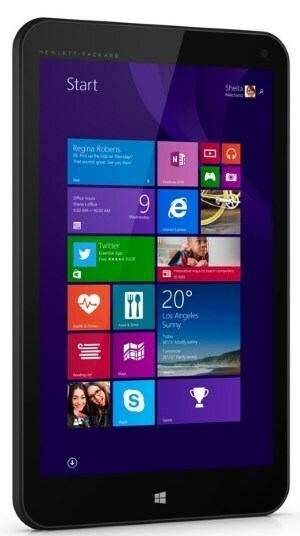 Besides ultra-cheap laptops, HP also revealed low-budget Windows 8.1-based Stream tablets. The 7" Stream 7 and the 8" Stream 8 feature the Intel Atom Z3735G quad-core SoC, 1GB DDR3 memory, 32GB EMMC flash memory, and a microSD memory card slot. Just like with the Stream laptops, these tablets come with 1-year free OneDrive and Office 365 Personal. Pricing is $99.99 for the 7" tablet and $149.99" for the 8" version, you can expect them in retail stores in November. The HP Stream 7 and HP Stream 8 Windows tablets keep customers connected to work, friends and content all at an exceptional value. The cloud-connected, Intel-powered 7” and 8” tablets include one year of Office 365 Personal and 60 minutes of Skype each month, 1TB of Microsoft OneDrive storage for one year, and a full Windows 8.1 experience. The HP Stream 8 tablet includes an optional 200MB of free 4G data each month with no annual contract for the life of the device.